I know that you’ve chosen Codeable in order not to simply solve one task. You’re here to get the best results and services possible and to find a reliable partner that will be able to fulfill all your WordPress development needs in the long-term perspective. Therefore, when it comes to project estimation, we don’t focus solely on price-per-hour software development. We bring you much more additional value by providing expert tech consulting and exceptional business communication thus building strong partnership relationship. This is my mission here and I can’t wait to learn more about your business and project. My name is Ivan Pylypchuk and I’m a founder of Premmerce and that’s where we share our e-commerce expertise with the world, сreate troubleshooting wordpress.org products ( plugins and themes) and drive your business forward. If you hire me for a price of one expert, you’ll get not only my expertise but a really big team, that consists of more than 20 talents specializing in back-end and front-end development, UI/UX design, online marketing, QA, project management and system administration. We’ve created a popular WordPress Theme, called SaleZone which brings value to over 1000 active users. We’ve provided more than 1000 custom solutions for our clients from all over the world and were awarded the average 5-star feedback. You can get more info about us on our agency site. We have hands-on experience with the most popular WooCommerce and WordPress plugins and themes. However, we’re never complacent with what we know, and we always go the extra mile. Developing the solutions based on the following plugins and extensions: WooCommerce Bookings, Woocommerce Subscriptions, WooCommerce Memberships, Gravity Forms, ACF, LearnDash, WooCommerce Product Vendors, Dokan, Contact Form 7, Easy Digital Downloads, WP Rocket, Wp All Import, WP Job Manager, AffiliateWP, WooCommerce or YITH Points & Reward, Points & Reward Plugin, BuddyPress. Third-party API integration, for example, Google Maps integration or some sort of online gateway integration. Developing the software which will enable the creation and management of the truck availability tables and the same time integrating them with their CRM and MailChimp. Read the full case study on our site. Premmerce implemented the idea of the customizable menu, price and calorie calculation option together with weight tracking. Premmerce’s task was to do the integration of the Ranplan Wireless website with Cision Communications Cloud, which is a platform that provides communication with company customers through different channels, monitoring, and analytics. The idea of this solution is that different regional companies are registered on the platform and they offer their services in a number of different business sectors. Have a new project idea? Let’s discuss how we can make it thrive together! Ivan has done a great job throughout the project with a lot of patience answering all my questions and let me test the solution end-to-end. Communication and responsiveness has been super fast and great. Ivan has been fantastic throughout this project. He immediately understood the brief and produced the work quickly, professionally and was always helpful and courteous. I would definitely recommend Ivan to anyone needing a professional service. Awesome! Ivan was a pleasure to work with. He is a great communicator and really takes pride in his work and the work is top notch. We would definitely utilize Ivan's skills again. Ivan was thorough in his brief and delivery of my requests. He explained the steps and any issues in a clear and concise manner. It was a pleasure to work with him. Extremely helpful and responsive to requests and fixes, he has produced an excellent plugin for us which works perfectly and will be well used. I have no hesitation in recommending Ivan or using him again! Second project I did with Ivan and again a pleasure to work with! It was a complete pleasure to work with Ivan. He is very professional, competent and fast. Highly recommended. Ivan did a great job, very good and open communications, no problems at all. 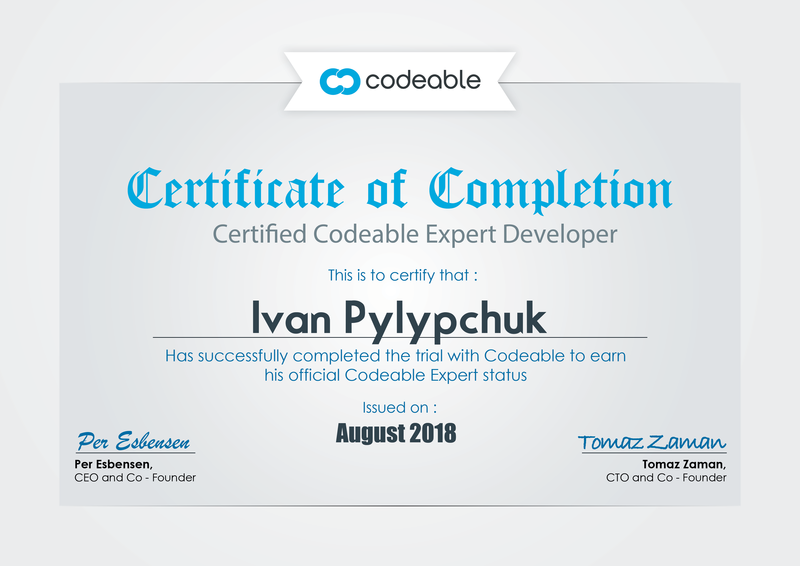 Would recommend Ivan highly if you're looking for a challenge in Woocommerce!